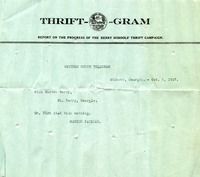 Ms. Jackson writes to tell Miss Berry that Mr. Kirk died that morning. 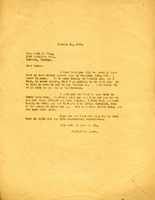 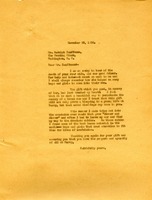 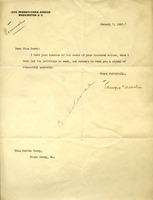 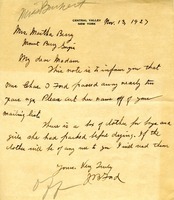 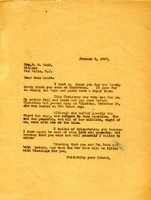 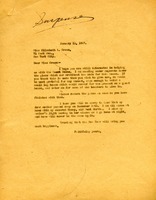 Letter to Martha Berry from V.H. 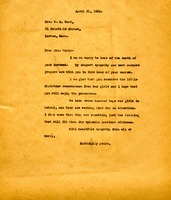 This letter is sent with condolences over the recent death of Miss Berry's mother. 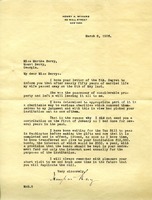 Someone writes to The Berry Schools to let them know that Mrs. Hubert Howson passed away two years ago and asks the Schools to take her off their mailing list. 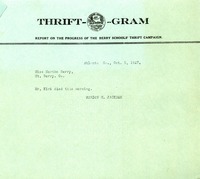 Miss Berry sends her condolences on Mrs. Kauffmann's death. 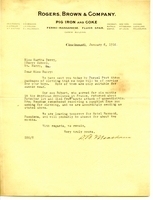 She also thanks Mr. Kauffmann on the gift he sent in his wife's memory.